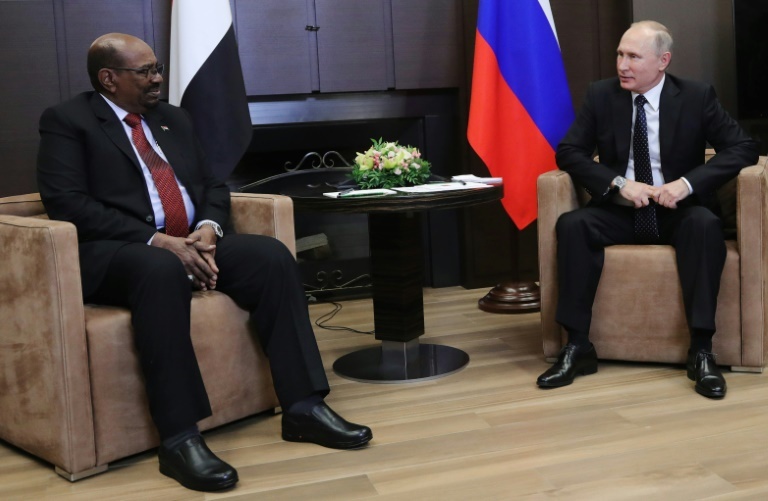 SOCHI, Russia – Russian President Vladimir Putin met his Sudanese counterpart Omar al-Bashir in Sochi on Thursday as part of the latter’s first official visit to Russia. Some of the topics discussed included wheat, the hydrocarbon industry, peaceful nuclear development and arms sales. “There is good potential not only in the hydrocarbon industry but also in the power sector and peaceful nuclear development,” Putin said. Al-Bashir also revealed the military topic that was discussed. “We’ve had a very good meeting with the Russian defense minister. We are launching a vast program for re-equipping our armed forces. We’ve agreed with the Russian Defense Minister Russia will provide assistance. We would like to increase the presence of military attaches,” al-Bashir said. He then denounced US intervention in the Arab world. “We believe that the challenges the region is facing are due to the intervention of the United States,” he said.